The Chicago Area Runners Association’s free ‘Go Run program is back with a new schedule format for 2019. 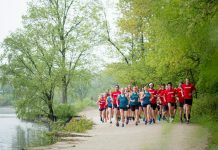 Organized in partnership with the Chicago Park District, the ‘Go Run program (short for Chicago-Go Run) provides free timed one-mile and 5K running events in local Chicago Parks. Nearly 10,000 participants have finished a ‘Go Run since its start in 2015. Over 160 of these events have been hosted at no cost to participants. This year, beginning February 2nd, ‘Go Run events will be held each first through fourth Saturday of every month for the entire year. In previous year’s, ‘Go Runs were hosted only during three eight-week seasons. 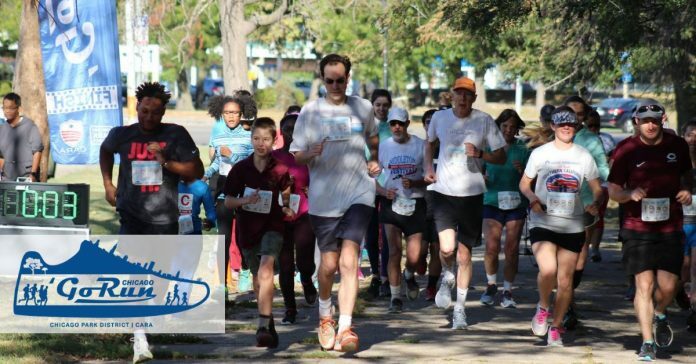 ‘Go Run is helping to grow participation in organized running, connecting people with their neighborhood parks, and encouraging community through active lifestyle. 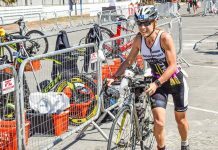 Not only does ‘Go Run remove the cost barrier some find when getting involved in organized running. The program also brings running events to neighborhoods where running events are not always held. In 2019, ‘Go Run will take place at nine different parks, including Big Marsh Park, Columbus Park, Horner Park, Humboldt Park, River Park, Warren Park, Washington Park, 63rd Street Beach, and the 606/Bloomingdale Trail. ‘Go Run is welcoming to everyone who wants to race, run, jog, or walk a timed 5K or 1 Mile in their local park. The events are grassroots, hassle free, and un-intimidating. All runs are timed, and results are produced, but there are no competitive awards. Runners are required to register once to gain access to the program for all of 2019. This year runners may also complete various participation and performance-based challenges to earn incentives, such as ‘Go Run shirts. Runners and walkers of all levels are encouraged to take part. Families may also run with strollers or the family pet on a leash. Last year 3,331 runners of all ages and abilities completed a ‘Go Run. 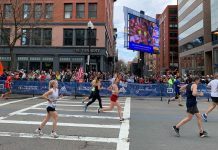 Of those finishers 30- percent were under the age of 18, and the average participant age was 30. All runs begin at 9:00 a.m. with check-in and on-site registration available from 8:15 a.m. to 8:55 a.m. However, participants are encouraged to register online prior to arriving at www.gorunchicago.org. Additional 2019 dates/locations to be confirmed in late spring.